Distracted driving is on the rise across America, and the behavior has been contributed to thousands of accidents each year. According to the Centers for Disease Control’s Injury Center, there are more than 3,000 deaths each year due to motor vehicle accidents caused by distracted driving. At this point in time, most people know what distracted driving is: A lack of attentiveness behind the wheel that leads to an inability to drive appropriately. What many people don’t know is that there are actually three categories of distracted driving. Visual distractions are those that take your eyes off the road. A visual distraction could be any number of things. Your children may be fighting in the backseat, causing you to turn around and discipline them. You may pass a car accident on the opposite side of the road and turn your head to look. Anything that causes you to remove your eyes from the road is considered a visual distraction. This is when your hands leave the wheel or your feet lose contact with the pedals. You may drop something on the seat beside you and reach to pick it up. You may drop something onto the floorboard and move your feet to pick it up. Any of these types of things are dangerous behaviors as they cause you to lose total control of the vehicle. Keeping your hands on the wheel and your feet on the pedals is necessary to drive your car properly. A cognitive distraction is one that causes your mind to wander. This may not seem like an issue, but that feeling of auto-pilot that we have all had when we get to wear we are going isn’t safe. People may daydream behind the wheel. They may slip into the driver’s seat after just having a fight with their partner. They may have had a terrible day at work and are unable to think of anything else. Cognitive distractions can be just as dangerous as physical distractions when it comes to driving. As you may well know, cell phone use is the most common form of distracted driving. It fits into all three categories, especially if you’re texting. You look at your phone, use at least one hand to text, and stop cognitively paying attention to the road. When a person is distracted from the task of driving, they make mistakes. It is these mistakes that can lead to collisions, and those accidents can lead to serious injury or even death. When a person causes an accident due to distracted driving, they may be held liable for paying medical bills, making up for lost wages and more. If you have been involved in an accident in Charlotte, you may have the legal right to compensation for injuries, lost wages and more. Call our experienced team of personal injury attorneys today to arrange for a no-cost, no-obligation case evaluation and discover more about your options. We are here for you and your family as you begin to move forward with your lives. You’re driving down the road at dawn on your way to work. You’re driving safely and paying attention to the road ahead. All of the sudden a deer leaps into your path and you can’t avoid hitting it. What do you do now? Once you’ve shaken off the stress of just having been in a collision, it’s time to take action. Here are six steps to take if you find yourself in this situation. If your car is operable, pull it over to the side of the road. Turn on your hazard lights so that other cars will see you. If you get out of your car to check on the animal or look for damage, don’t walk into the roadway. Both you and your car are going to be less visible in times of low light. For insurance purposes, it is a good idea to have a police report made so you can share it with your insurance company. If you have comprehensive coverage on your car insurance policy, hitting a deer is typically a covered loss. If you swerve to avoid hitting a deer and hit a tree or some other object such as a tree, fence or other vehicle, that claim will typically fall under your collision coverage. If it is safe to do so, take pictures of the damage to your vehicle, the current road conditions, the area surrounding your car and the animal if it is still present. If there were any witnesses that stopped to assist you, ask if you can have their contact information should you need it in the future. If the animal is still present, keep your distance. You can use the zoom on your camera to get photos. The deer could act unpredictably if it’s injured. No matter how bad you feel about any injuries the animal sustained, you have to remember that it is a wild animal and could harm you. Your car may not be safe to drive after you hit a large animal like a deer. Look for any leaking fluids, loose parts or broken lights. Make sure your tires are still inflated and that all latches on your car shut tightly. If you don’t believe that your car is safe to drive, call for a tow. Reach out to your insurance agent when you get home. They will want to know what happened and you will want to start the process of having your car repaired if necessary. The sooner you speak with your agent, the faster you can get your vehicle fixed. While there is no fault when you strike a deer except maybe your own, if you are hit by a driver who swerved to avoid an animal in Charlotte, you may have legal rights to compensation. Call our attorneys to arrange for a free case evaluation and discover more about your legal options. We may be able to secure compensation based on injuries sustained because of a negligent driver. It’s easy to understand how a person could be held at fault for a car accident if they were negligent or behaved recklessly in some way. It’s also possible to potentially hold a driver accountable if they were operating faulty equipment. In some cases, defective automobiles can also be found to be the responsibility of the manufacturer of the automobile or automobile part manufacturer. Any serious injury accident caused by faulty or defective equipment should be investigated. The goal of such an investigation is to thoroughly determine any potential negligence claims against the person operating the vehicle or against a manufacturer or repair shop that could have been negligent in the manufacturing or repair of the vehicle — resulting in serious injury. Here are come common types of faulty equipment frequently involved in motor vehicle accidents. Tires aren’t made to last forever, even though some people believe they are. The tires on any vehicle are rated for so many miles and should be replaced at that point. That’s not to say that tires won’t fail before their mileage is up. When an owner realizes that their tires are under-inflated, over-inflated or even that tread is worn or missing, they could be held responsible if a tire fails and results in an accident. Brakes can be expensive. It’s why so many people wait until they can’t possible wait any longer to have them changed. Unfortunately, this choice could lead to an accident. If you have heard screeching, scraping or grinding when you apply the brakes, or you notice that you have to push the pedal nearer the floor to get your car to slow down, you need to have your brakes looked at. Don’t risk not being able to stop when you need to. Additionally, there have been successful cases against brake repair shops when their faulty repairs resulted in serious injury accidents. Each case is different and should be investigated as soon as possible after the accident occurred. This is true especially when it snows and you don’t take the time to clear off your windshield and rear and side windows, but it can also occur because you fail to do one easy thing: Change windshield wiper blades. In order to work properly, your blades have to be making appropriate contact with your window. Over time, wiper blades wear and fray, inhibiting their ability to keep your windshield clear. If you cause an accident because you couldn’t see due to faulty blades, you could be held liable. Additionally, driving in unsafe driving conditions can also lead to an accident that might not otherwise occur in good weather. If you are going to be on the roads, make sure you can see and that the weather is appropriate to drive in. Proper vehicle maintenance is the responsibility of every owner. If you aren’t sure what you need to do or when, consult your owner’s manual. Keeping up on maintenance could not only prevent costly repairs, but it could prevent you from causing an accident. If you’ve been involved in a car accident in Charlotte, reach out to our team of attorneys to arrange a case evaluation. We will review the details of your accident and advise you of your legal options. Call today to schedule your appointment and discover more about your rights. It is an absolute nightmare for parents to even think about their child being hit by a car, much less being involved in the situation. It’s a sad fact that children of all ages are hit by cars on a far-too-regular basis. Young ones, aged five to nine, are particularly susceptible to the danger. Children are at a higher risk of being injured in a pedestrian versus car accident than in an automobile accident. Being hit by a vehicle is the leading cause of death for five to nine year old children when it comes to preventable accidents. Federal statistics say that nearly 5,400 pedestrians were killed in traffic-related incidents in 2015. More than 100,000 people were seen in emergency rooms in that same year due to injuries caused by these kinds of accidents. In 2015, one in every five children who were under the age of 15 at the time of death related to a traffic accident were pedestrians. There are steps you can take to help prevent your child from being struck by a car. Fences: If your child is allowed to play outside on their own, they should be playing within an enclosed area that has a locked gate. If you don’t have a fence surrounding an area of your yard, your child should not be permitted to play outside without adult supervision. Education: Make sure that your children know the dangers of playing near the road or driveways. Always make it a rule that they stay away from these areas. You are a hazard, no matter how much you would like to believe you are not. If you are backing out of your driveway, always walk around your car before you put the keys in the ignition. You can miss a small child behind your car even with a rearview camera. 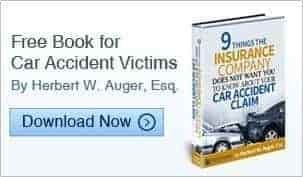 If your child is hit by a car, you have legal rights if the driver was negligent. Drivers are required to show a high duty of care if they are operating in an area where children are likely to be present. It’s important to know that your child will not be held to the same standard as an adult pedestrian. For example, your child will not automatically be told that they should have been more careful or paid closer attention. Your child’s actions will be held to a standard that is typical of their age, experience and intelligence. A moment of distraction does not make your child responsible for the accident. If your little one has been struck by a vehicle in Charlotte, reach out to our office. We understand the pain your family is feeling and we want to help you achieve justice. Call our team today to arrange you free case evaluation and discover more about your legal rights. We are here to help you. Bicycle versus vehicle accidents can cause severe injuries. Some of these injuries may heal with time, and others can be lifelong. If you or a loved one has been involved in a bicycle accident, you may be interested in seeking compensation from the at-fault party for medical bills and more. The steps you took following your accident will have an impact on the outcome of your case. Your emotions are obviously heightened following any accident. This can make it difficult to behave appropriately as it pertains to a potential lawsuit. These are the steps that should have been taken after your accident and they are the steps you should take if you are involved in an accident in the future. The first thing to do after an accident is to call 911. If you are unable to make the phone call yourself, ask a witness to do it for you. The dispatcher will determine what type of emergency assistance you need, sending you the police, fire or medical personnel as required. If you are injured, do not refuse medical treatment. In some instances, your injuries are minor and you think that you can take care of them at home. This may be true, but you could have injuries that aren’t obvious and need to be appropriately diagnosed by a doctor. If you don’t seek medical attention, your case could be negatively impacted. When the police arrive, they will ask you questions. Be honest when answering the questions so that the police can file the correct information with their report. The officer will likely want to know your personal information as well as your account of the accident. It’s important that you remain as calm as you can. Do not engage the person you believe to be at fault for the accident. While you can certainly accept their assistance if you’ve been injured, do not discuss details of the collision with the other party. After you have taken the first four steps, your last will be to call a local, experienced personal injury attorney. An attorney can advise you of any further steps you need to take and, after discussing your accident with you, can advise you of any other actions you need to take. If another person was at fault for your accident, you may be entitled to compensation for any monies you have to pay out as a result of your injuries or property damage. If you are involved in a bicycle accident in Charlotte or elsewhere in North or South Carolina, reach out to our office. We will help you arrange a free case evaluation at which time we will advise you of your legal rights. Call today to discover more about your options or browse our website to learn more about our firm and the types of cases we handle. You’re driving down the road in your car or on your motorcycle. All of a sudden a car comes flying up behind you, laying on its horn and blowing by you in the passing lane. It cuts you off, forcing you to slow down dramatically, and hovers in front of you controlling the way you can drive. You have run into an aggressive driver. Some people get behind the wheel and focus on the task at hand. They obey the rules of the road and they tend to themselves. Others get behind the wheel and pretend that they are on a racetrack, driving in a way that puts not only themselves but others in danger. Here is how to respond (or not respond) to an encounter with an aggressive driver. Let’s be honest: If you are the victim of an aggressive driver, you have every right to lose your cool. But don’t give in to your first impulses. Chances are that flashing your high beams, blaring your horn or making hand gestures is only going to inflame the other driver and make the situation worse. If you can safely get in a different lane of travel, do so. This is clearly easier to do if you are on a highway and not a city street. Signal with your blinker and move to another lane when it is safe. You don’t want to put anyone else at risk by cutting them off. Giving the aggressive driver plenty of room may get them to leave you alone. Aggressive drivers seem to be more agitated during rush hour when cars are sitting bumper-to-bumper on the highway. Most of us creep up to the car in front of us, leaving very little room should we need to maneuver. If you have been met with an aggressive driver, always plan to leave yourself as much space as is reasonably possible. Instead of creeping up on the car in front of you, leave yourself some room to move. Don’t make eye contact with the aggressive driver. Your goal is to diffuse the situation, and you don’t know what making eye contact will do. In many cases, it only serves to challenge the other driver and make matters worse. If you have done everything you can to avoid and deescalate the aggressive driver, your last option is to call 911. You will need to know your location and, hopefully, the license plate number of the offending driver. Let the police handle the situation like they are trained to do. If you are involved in a vehicle collision in Charlotte or elsewhere in the Carolinas, reach out to our office. We will help you arrange a case evaluation and advise you of your rights. Call today for assistance and learn more about your legal options for compensation. We’ve seen it on television. We’ve watched it happen in the movies. Some of us have even experienced it in real life. Two cars are involved in an accident. One driver wasn’t paying enough attention and rear-ends the vehicle ahead of them. The driver in the first car jumps out dramatically, holding their hand to the back of their neck and hollering at everyone nearby. Scenes like this give whiplash a bad name. Yes, it is a real condition, but not a medical term. In fact, before automobiles were invented, the condition had a different name: railway spine. People involved in train accidents were the sufferers of the condition. Despite what people may have come to believe, the condition is a very real one. If you’ve ever suffered whiplash, you know just how painful it can be. Here is some additional information about this condition and your rights. When the neck is suddenly extended due to a force, the ligaments, muscles and vertebrae in the neck and shoulders can be damaged. This type of injury is commonly found in rear-end collisions where the head is thrown forward and then back again in a fast or violent manner. When your head moves back and forth so quickly, the spine can take the shape of an S. This can lead to injury in the muscles of the shoulders and back. When the trapezius muscle, in particular, is injured, the result can be constant and persistent pain. If you notice any one or more of these symptoms, it’s important that you go to the doctor, even if you visited one immediately after the accident. Your doctor will perform a physical examination and may request diagnostic imaging to rule out any other conditions that could be contributing to your discomfort. Signs of whiplash shouldn’t be ignored. While the condition itself may heal on its own or with home therapy, there could be other conditions present that are causing your symptoms. If you have been injured in a car accident in Charlotte, reach out to our team of experienced personal injury attorneys and arrange a case evaluation. We will review the details of your accident and advise you of your legal options and the best next steps. Call today to schedule your consultation and begin the process of recovering what you deserve. Generally a case involving wrongful death may be brought by a surviving spouse, children, parents, siblings or other person appointed to represent the estate of the deceased. Special circumstances may exist for an extended family member or other person to take part in the lawsuit. Through a wrongful death lawsuit, there may be an award for damages that cover expenses associated with the loss, including medical bills, loss of future earnings and funeral expenses among others. If you are the surviving family member of a loved one that passed away due to someone else’s negligence, you may have the right to pursue a wrongful death case. At Auger & Auger, we are compassionate professionals that are experienced in dealing with significant issues related to these types of cases. If a loved one has experienced a wrongful death in Charlotte or elsewhere, reach out to our attorneys. We will review the details of the accident during a free, no-obligation case evaluation and speak to you about your possible options. Call our office today to speak to an attorney. When you are involved in an accident with a semi truck, the aftermath can be devastating. Semi trucks are a great deal larger than the average passenger vehicle and pack greater power behind their engines. If you have been involved in such an accident, there are steps you need to take in order to preserve your rights. If you are able to, the first step to take is to call the police for help. Even if there is very little damage or you believe you aren’t injured, having a police report on file is important. Calling the police following an accident is also the law. In very serious accidents, you may be transported by ambulance or helicopter to a hospital for treatment. When your injuries aren’t as severe or you don’t believe you are injured, you may not seek treatment. This could be a mistake. You don’t know how you will feel tomorrow or even next week. Make sure you see a doctor and get checked out. You may be contacted by the other party’s insurance company. In fact, you can almost count on it. Before speaking to any insurance company, especially one that works for the trucking company, call an experienced trucking accident injury lawyer. Know your options before speaking to the insurance company! You shouldn’t have to suffer financially following an accident with a semi truck. You may be entitled to money for medical bills, lost wages, future medical bills and pain and suffering. Find out your rights!!! An accident with a semi truck can be devastating. If you have been involved in such an accident, following the steps above will help to preserve your rights should you choose to pursue a case against the at-fault truck driver. If you have been involved in an accident with a semi truck in Charlotte or a tractor trailer elsewhere, call our office. We will review the details of your accident during a no-cost case evaluation. If we believe we can assist you with your injury case, we will advise you of the next steps so you can start protecting your rights. Call today to schedule your case evaluation and discover more about how we can assist you and your family as you move forward with your lives. Did your little one get a new bicycle for the holidays? If so, it’s a good time to remind yourself, and your child, of bicycle safety rules. A great way to do that is to discuss the myths surrounding safe riding. See if your child believes any of these and dispel them if they do. This is an old myth that people have stood by. The fact is that nearly one-fourth of bicycle collisions occur when a rider is facing against traffic. Your child should always ride with traffic and, where permitted, on the sidewalk. Many parents believe that helmets aren’t necessary for short rides around the neighborhood. According to statistics, this simply isn’t true. Most bike crashes occur within a mile of the home. If your child is on a bike, they should be wearing a helmet. A bicycle helmet is designed specifically to protect the head from a fall that occurs while riding a bicycle. A football helmet is designed to protect your child’s head while they are playing football. The two helmets are designed differently. Your child should wear protection that is designed for their activity. Reflectors may make it easier for your child to be seen, but they don’t make it any safer for your child to ride at night. Your young child does not have the skills necessary to ride before dusk or after dawn. Many parents hesitate to teach their children hand signals for bike riding because they are afraid of their children losing control of the bicycle. Yes, your child will have to remove a hand from the handlebar, but it’s more dangerous to not alert a vehicle or pedestrian to their intention. If your child cannot maintain control of their bike with one had briefly off of the handlebars, they should stick to practicing in the driveway. Any child who is permitted to ride a bicycle should know how to do so safely. Use the talking points above to have a conversation with your child now that they have a shiny new bicycle. When your child knows how to ride a bike safely, you have peace of mind in letting them enjoy themselves. No parent wants their child to be injured in a bicycle accident. If your little one is in an bicycle versus vehicle accident in Charlotte, you may have the right to compensation for any medical bills you incur. If the accident was the fault of the driver, you have legal rights you should be aware of. Call our office today to schedule an appointment for a free case evaluation. We will review the details of your child’s accident and advise you of the appropriate next steps. Reach out to our team or browse our website for more information about our firm and the types of cases we handle.